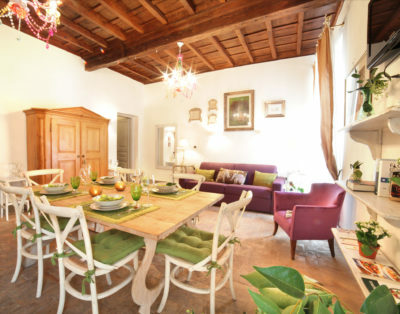 Mantellate Home, is a comfortable apartment located in the cosy area of ​​Trastevere, the most colorful and charming district of the Eternal City, and a few steps from the sparkling Piazza Trilussa, a gathering place for tourists and people who sit on the steps of the fountain and enjoy the suggestive vibe of the area. 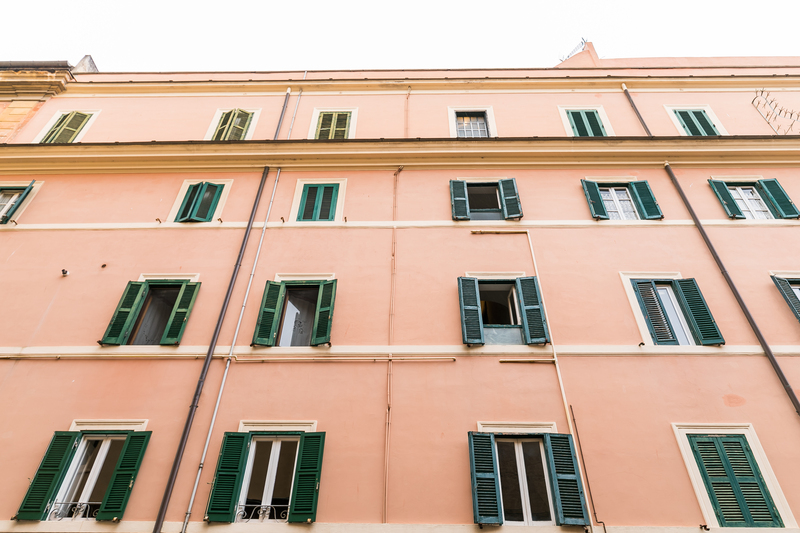 It is also located a few steps from the Bambino Gesù Hospital, in its headquarters at Piazza Sant’Onofrio. 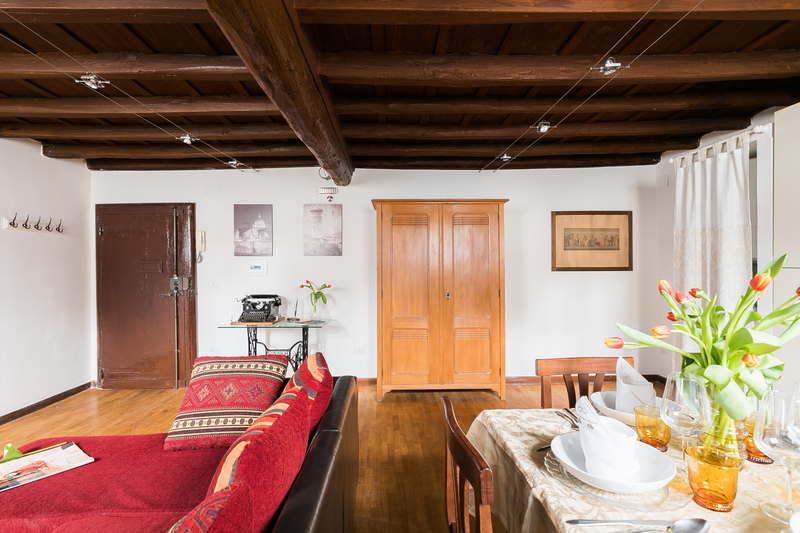 Characterized by wooden ceilings and parquet floor, with its uniqueness of warmth and comfort, Mantellate Home consists of a nice room, with double bed and wardrobe; a large and comfortable living room with sofa (which can be converted to a comfortable bed for two additional guests) and a bathroom with shower and the main services. 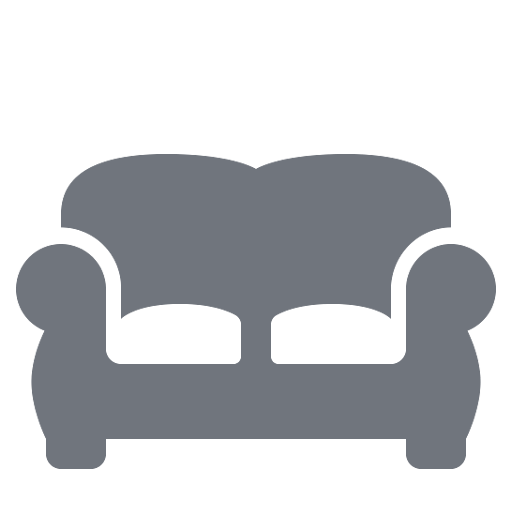 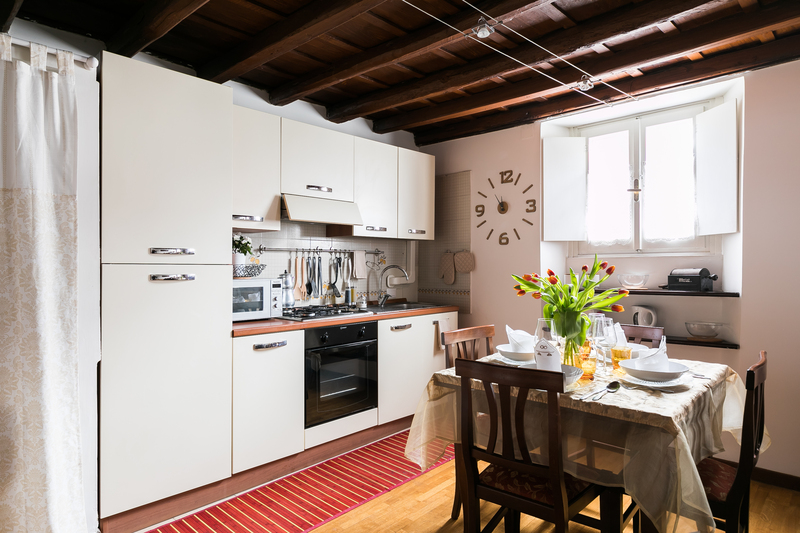 The functional kitchen is equipped with an electric oven, microwave, gas hob, fridge and freezer. 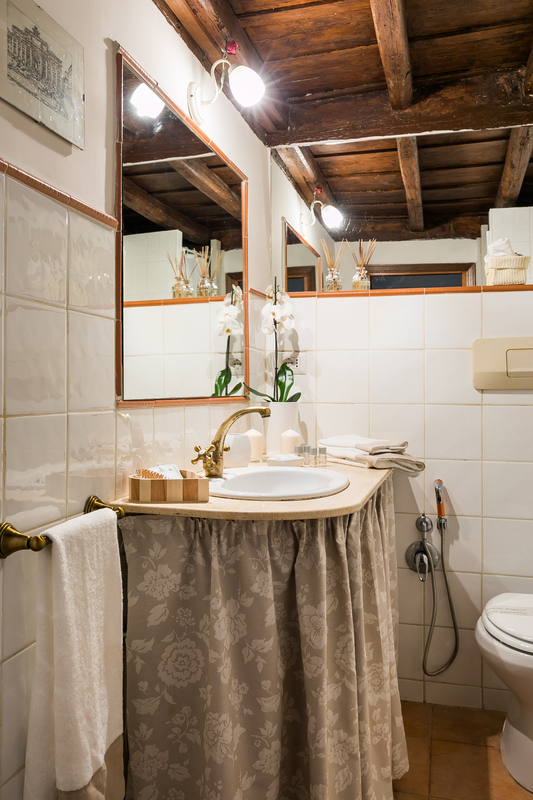 Moreover, its decorative details adorn the accommodation, giving it a particular and warm touch to the enjoyable atmosphere. 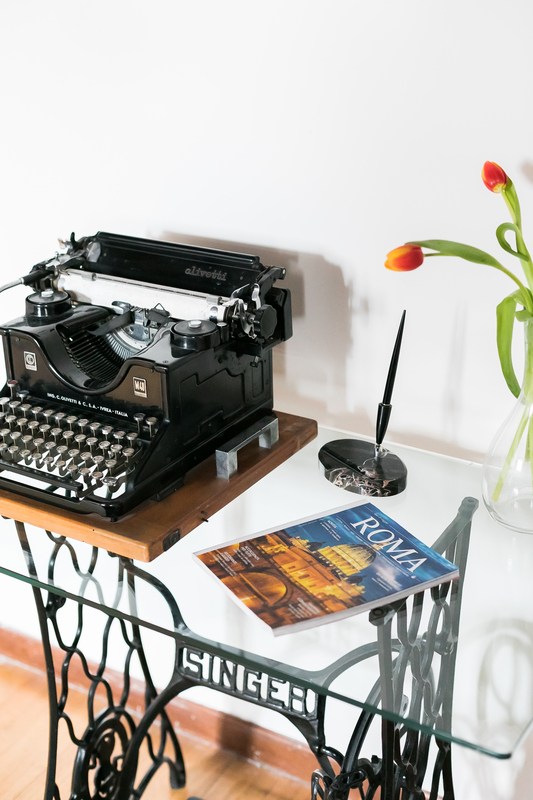 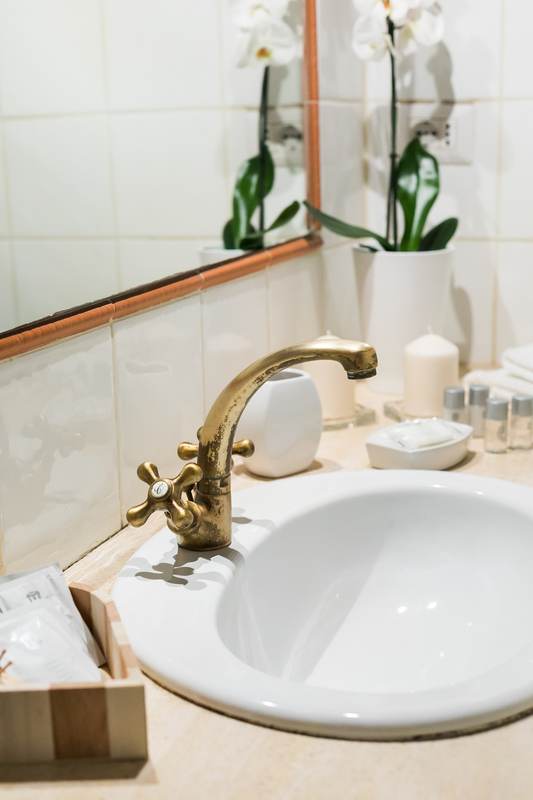 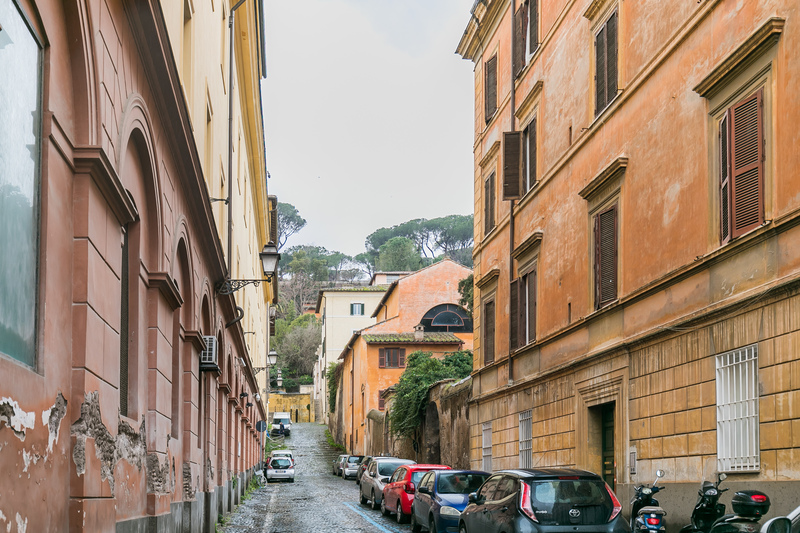 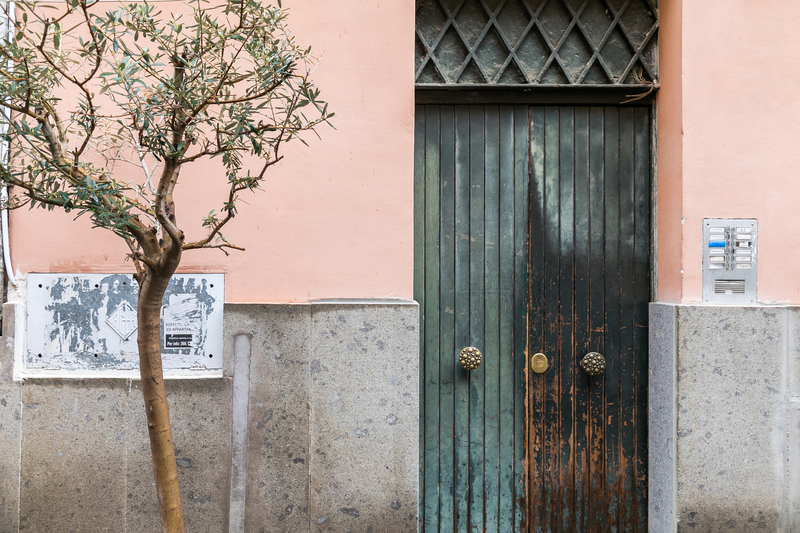 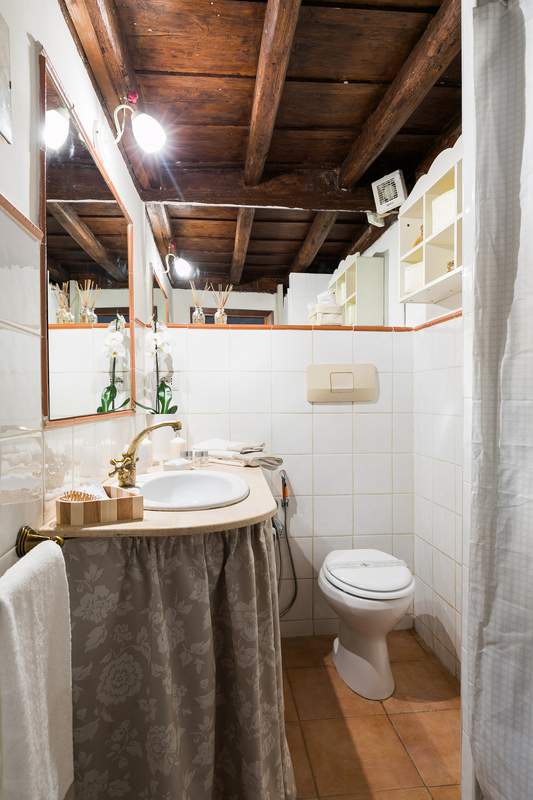 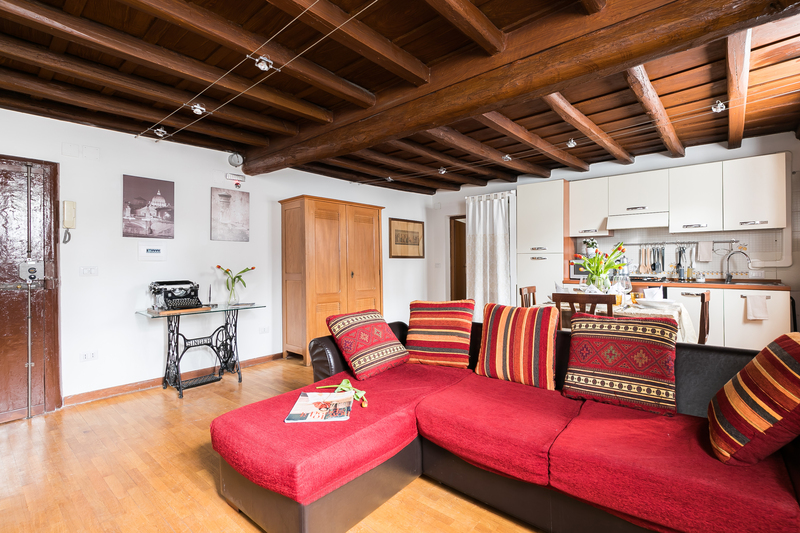 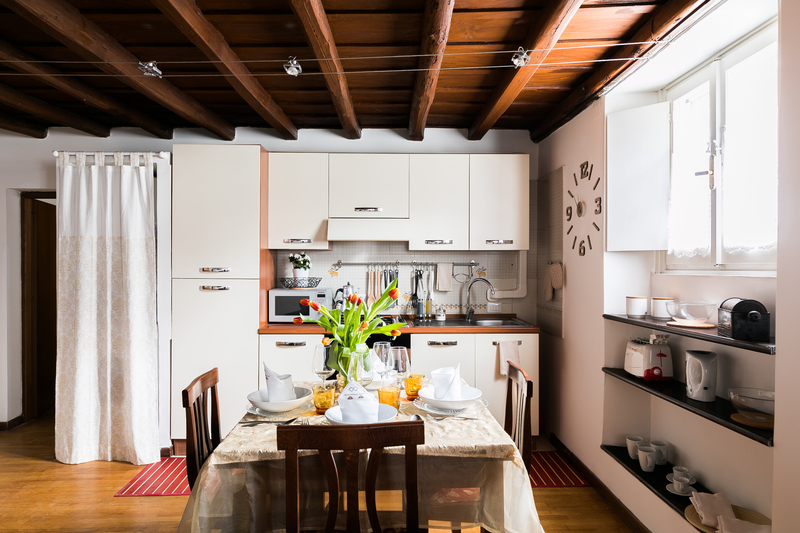 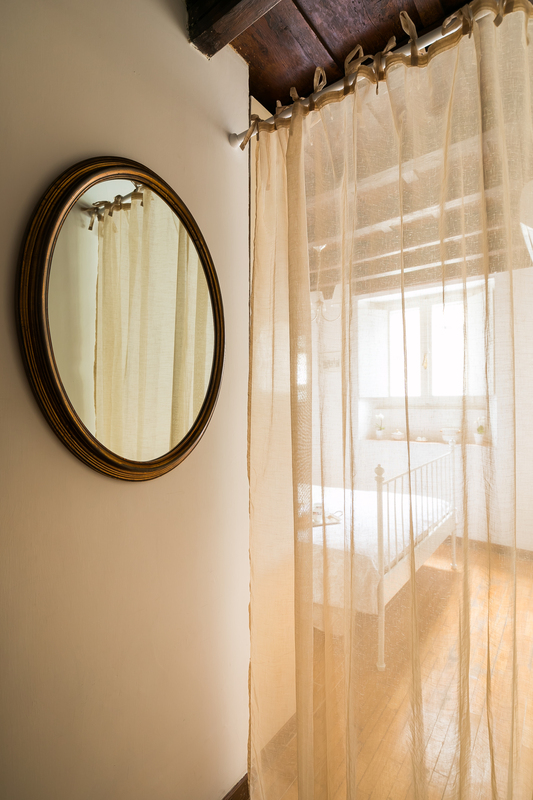 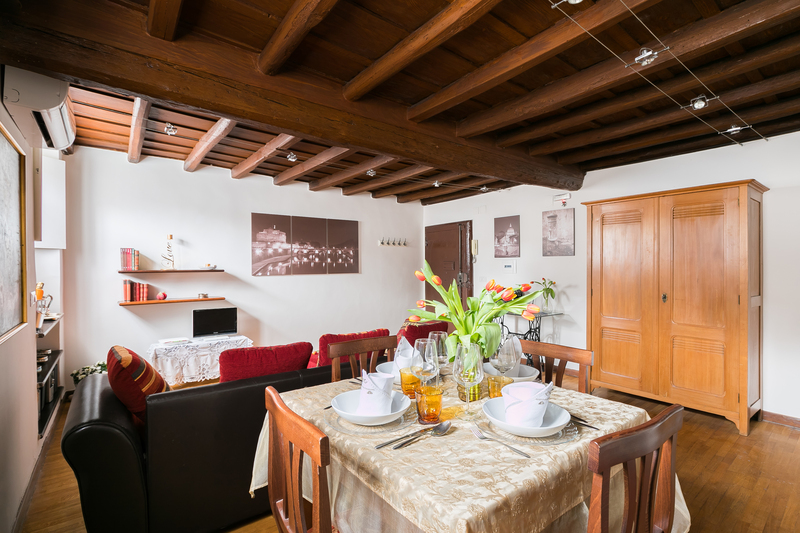 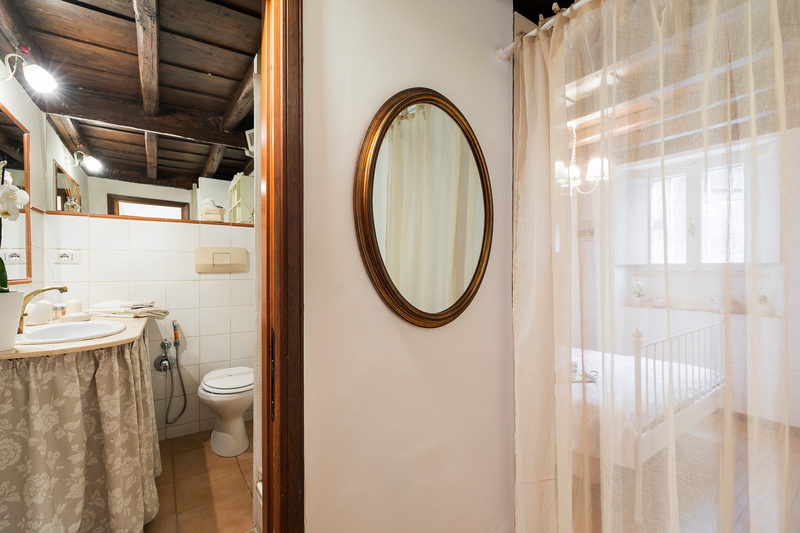 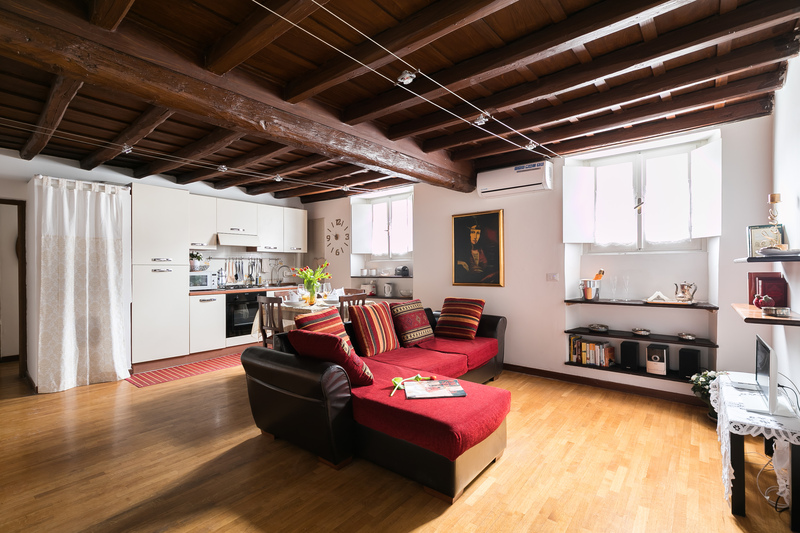 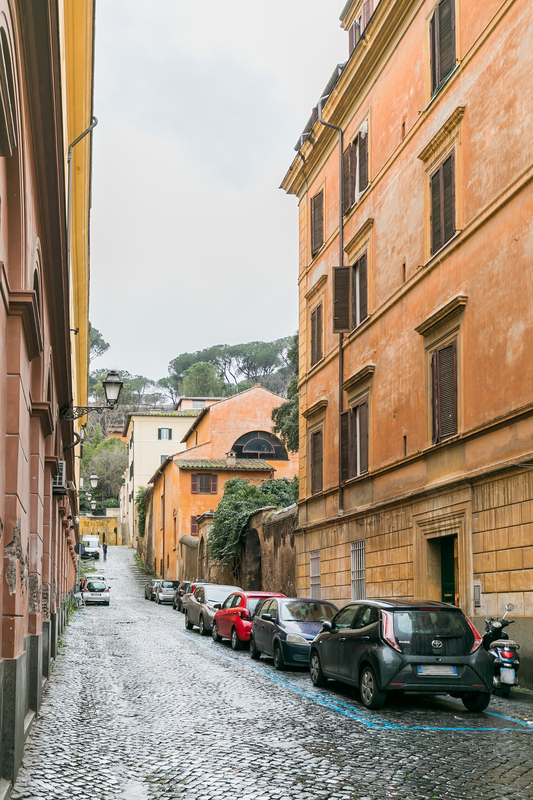 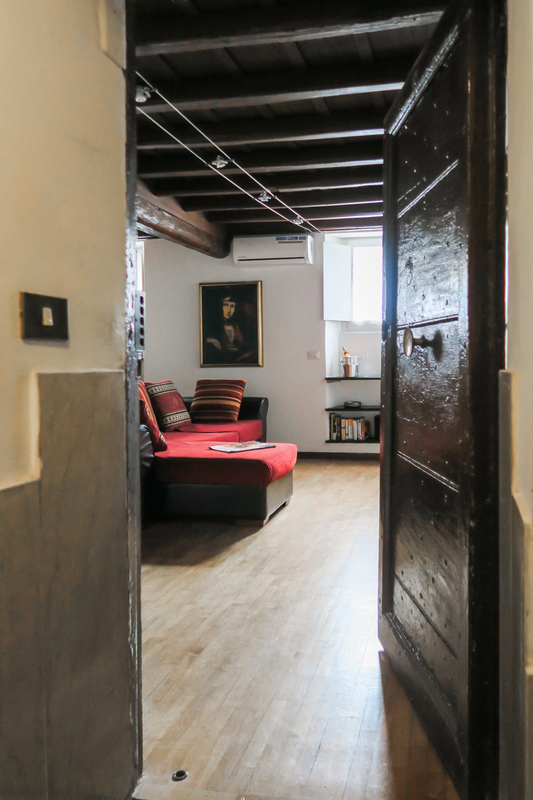 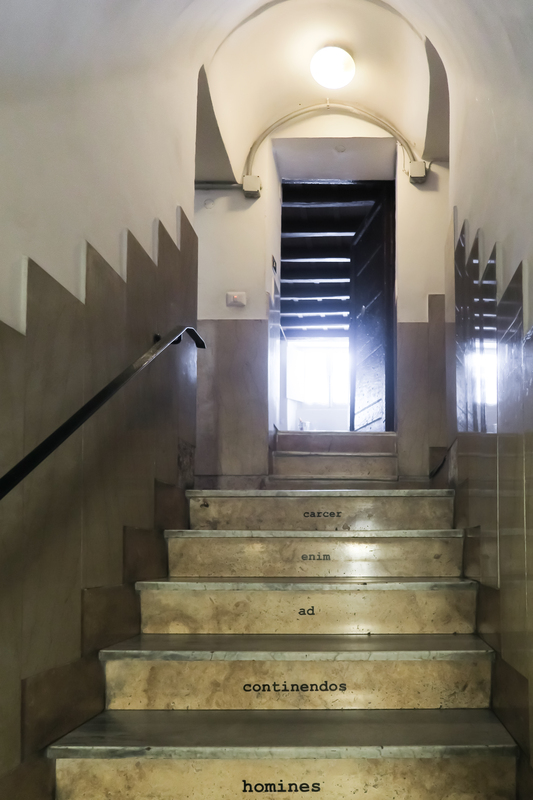 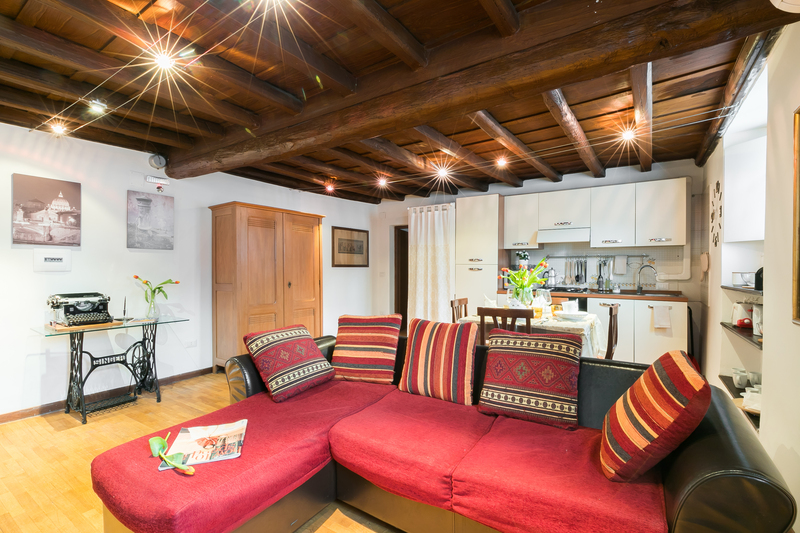 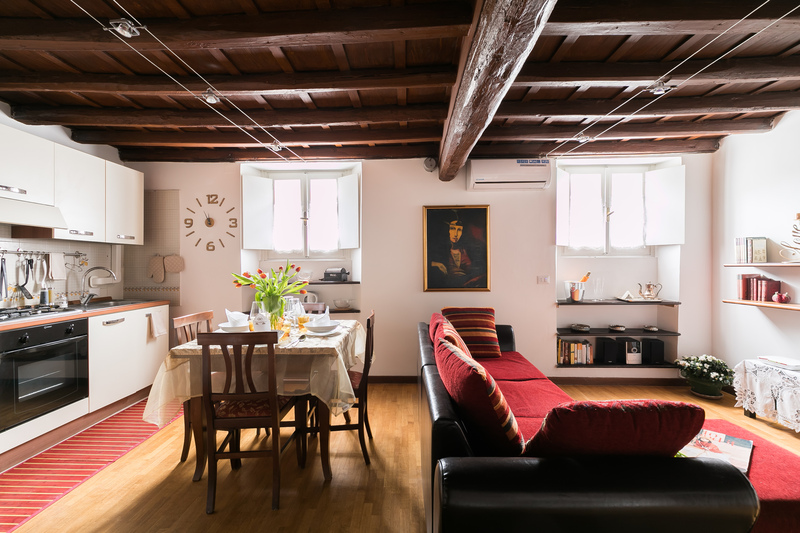 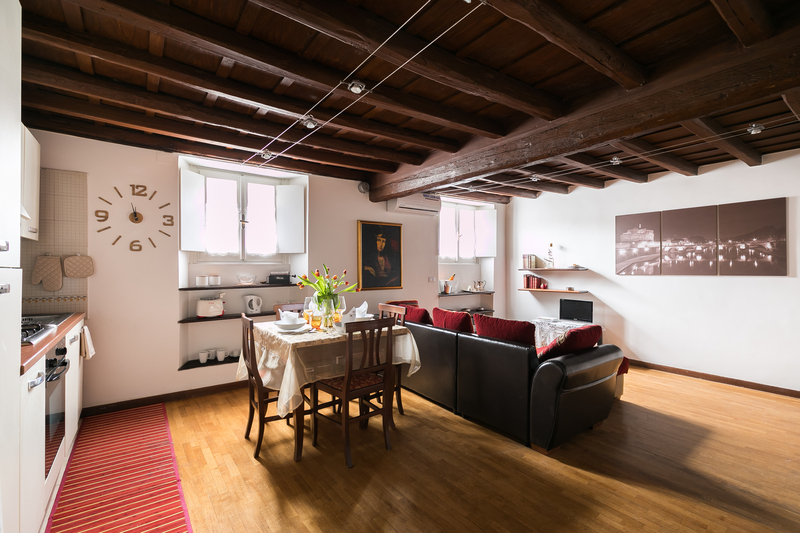 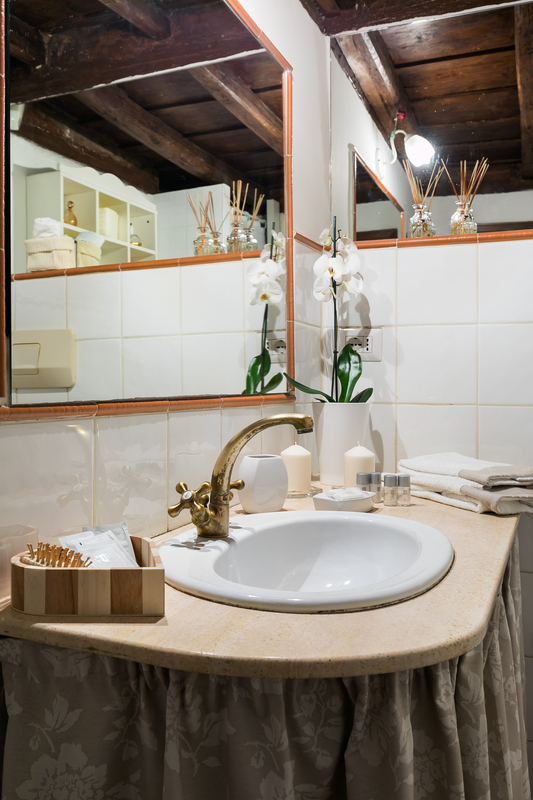 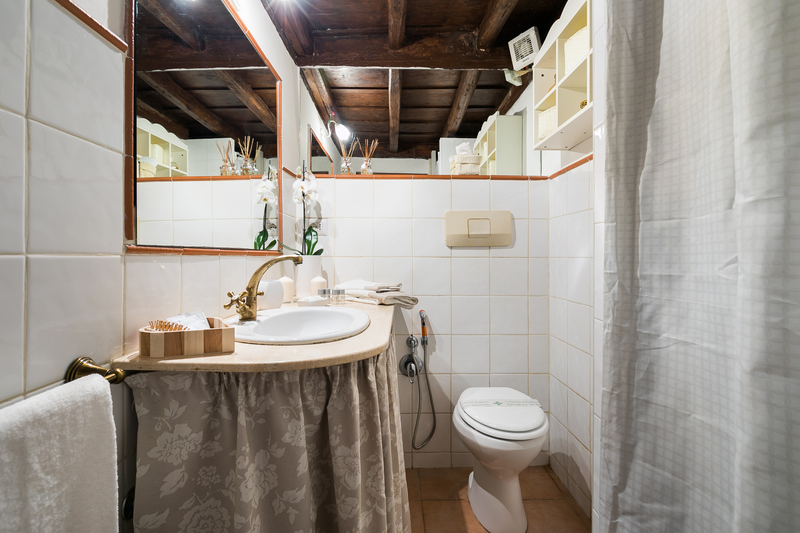 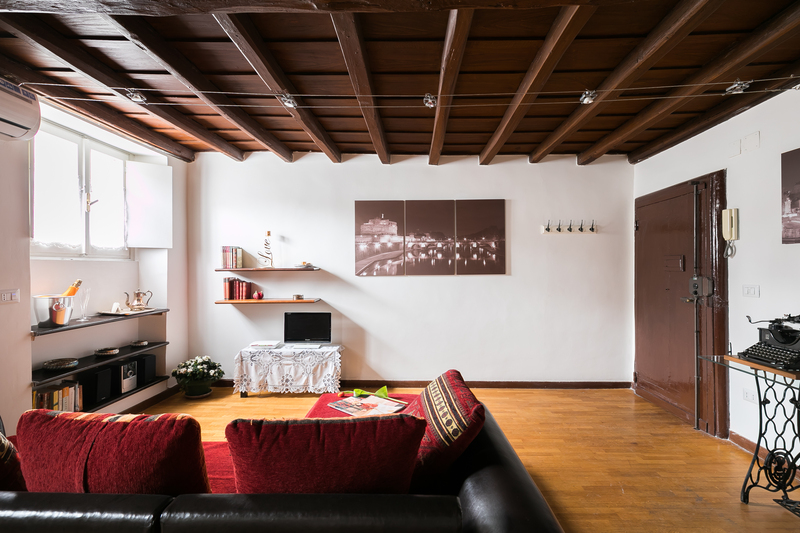 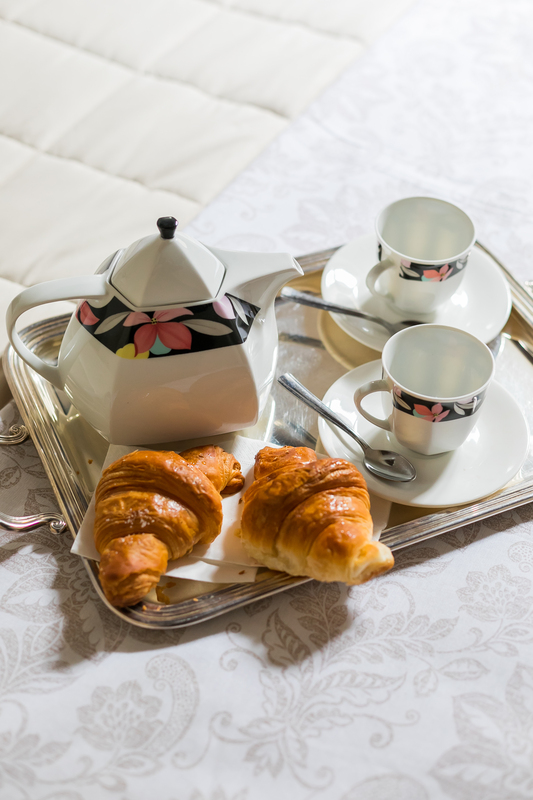 The house benefits of a bohemian atmosphere, typical of the neighborhood in which it is located: the well-defined separation of rooms and the characteristic environment make it suitable for couples and families who want to stay in the lively heart of Rome, without giving up tranquility and comfort.